Both islands are flat-topped, steep-sided and very isolated by its location, by rough seas, and by the persistent fog that shrouds the islands during the warmer months. During the freezing winter, sometimes moving chunks of ice clog in the open waters forming an ice bridge connecting the two islands. At such times one can practically walk between the United States and Russia. Of course, this is only in theory. Crossing the Bering Strait is not legally permitted. 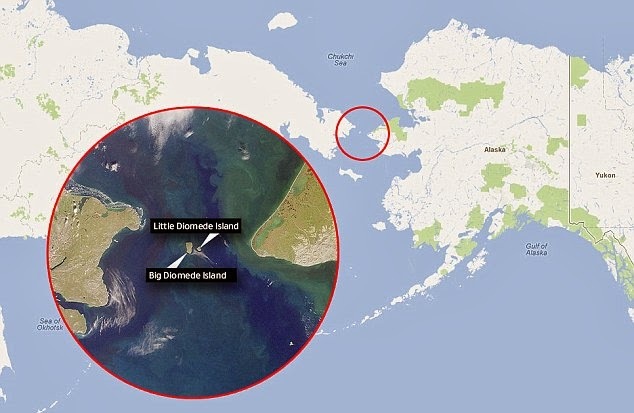 The islands were originally inhabited by Yupik Eskimos as long as 3,000 years ago. The first European to reach the islands was the Russian explorer Semyon Dezhnyov in 1648. 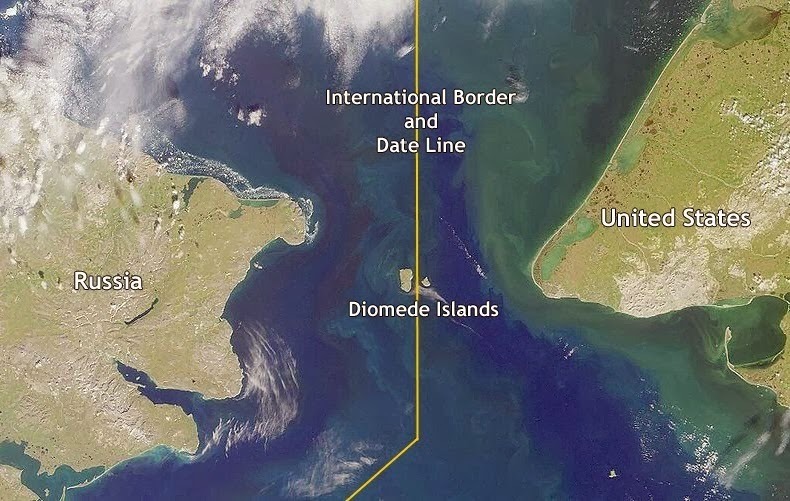 Eighty years later, it was re-discovered by the Danish navigator Vitus Bering on August 16, 1728, the day on which the Russian Orthodox Church celebrates the memory of the martyr St. Diomede.